PHUKET: Phuket Vice Governor Supoj Rotreuang Na Nongkhai this week held a meeting with the Geo-Informatics and Space Technology Development Agency (GISTDA) to discuss the development of an information system that will gather data to assist with marine activity in a bid to prevent future marine disasters. 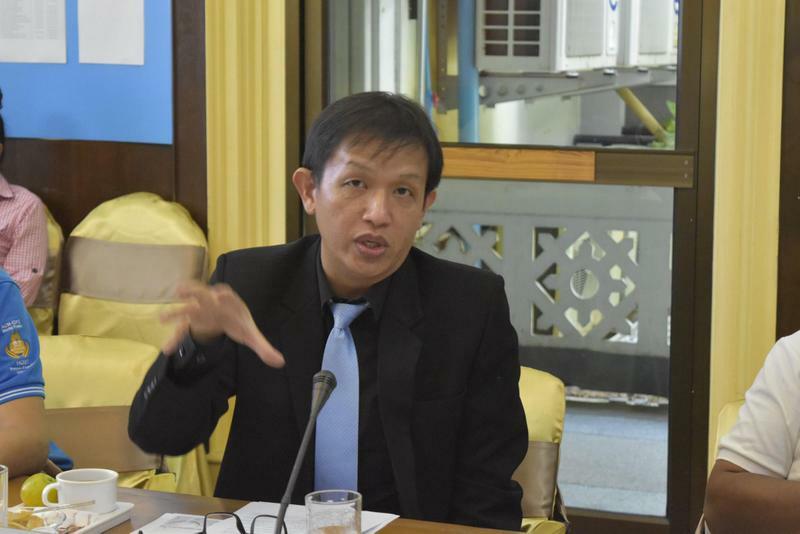 V/Gov Supoj presided over the meeting held at Phuket Provincial Hall on Wednesday (Mar 12). Following the meeting, V/Gov Supoj announced that authorities will work together with GISTDA in developing the system that will benefit the tourism industry as well as the island as a whole. 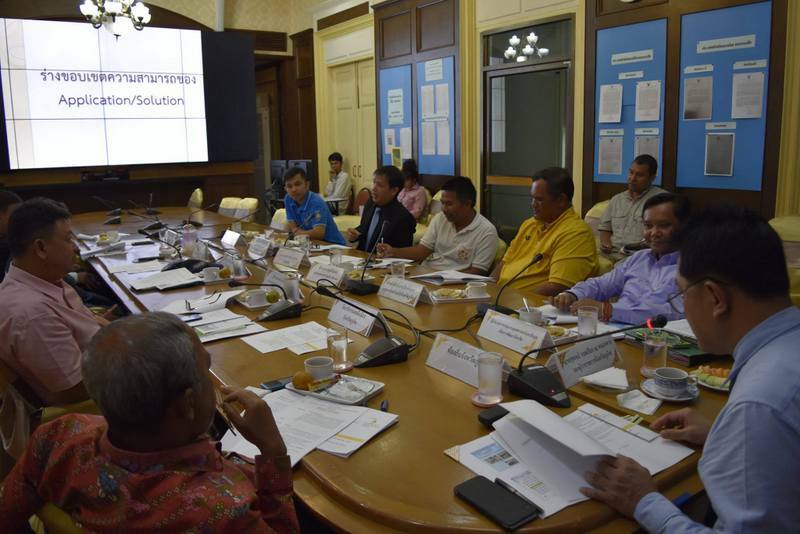 “GISTDA aims to provide Phuket with the ability to prevent and resolve marine disasters in the most efficient manner with the use of modern satellite technology. 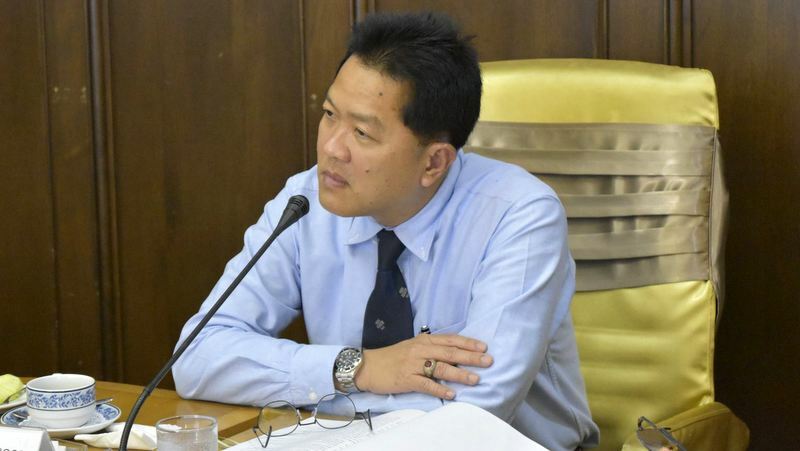 Monitoring stations will be installed in the Phuket Marine Office on Chalong Pier, linked to the marine traffic control system (VTMS),” V/Gov Supoj said. The Vice Governor spoke of the reasons behind the project, sighting the tourism industry as a key factor. “Phuket is a province that is very popular among tourists from all over the world. In 2018, more than 14 million tourists arrived in Phuket, generating over B300 billion in revenue,” he said. “It is ranked second in Thailand after Bangkok and is one of the top 10 cities in the world to travel to according to MasterCard’s 2018 Global Destination Cities lndex. “However in July, 2018, Phuket had a very serious marine disaster which killed 47 Chinese tourists and we must prevent such occurrences from happening again,” he stressed. Back in 2008, Thailand had its own satellite, developed at the European Aeronautic Defence and Space Company (EADS), launched into space. The satellite has been used to observe natural resources in the country by gathering information to be used by both the government and public for research and mapping. The “THEOS” (Thailand Earth Observation Satellite) missions were conducted to observe agriculture sites, the production of agricultural crops, forest demolition, forest types, shrimp farms, water pollution from oil leaks, water sources, community areas, illegal farms, disaster areas, and for city planning. The information that is gathered from the satellite can also be sold to other countries. On March 24, 2014, THEOS captured images showing some 300 objects in close proximity to the suspected crash site of Malaysia Airlines Flight MH370, in the Indian Ocean. @ ... you'r right. Before government starts this 'futuristic' satellite thing ( very costly, I hear the money singing already), upgrade skills boat crews and boat safety first! A thai government satellite hobby doesn't save tourist passengers on unsafe, not according IMO equipped thai tour boats! Satellite images are only good for showing thai boat unsafety world wide. They now have satellites that can track raw sewage flowing from any toilet directly into the sea. Most of speedboats transporting passengers/tourists in Phuket, don't have a GPS tracker or life rafts (Compulsory by IMO - International Maritime Organization). The first step for marine safety would be to make them compulsory the sooner the better. Note: all speedboats transporting passengers/tourists in Indonesia (Bali/Lombok) are fitted with life rafts. How about Governors /Provincial Hall first concentrate on the disastrous water problems on Phuket? That is asking attention NOW to try to make it not happen again next year. Perhaps next year will be even hotter and more dry? And that with that extra 10,000 rooms. Oh boy. How about Phuket Marine Office staff look out of the window at Chalong Pier? And, Phuket tourist boats should hand in a sea sailing route of the day at marine offices in order to get a sailing clearance with tourists for that day..  For all this easy things one doesn't need satellite use. It would not have prevented last tourist boat disaster. ..."Phuket generating over B300 billion in revenues!! But Phuket can't keep up it's pants with a normal water supply to hotels and households. Yes-yes. Satillite stuff, same as road camera's for Phuket? Only register road & sea disasters, not prevent it. Would it prevented the Pollution at Thalang, Kamala, Kalim and Patong beaches? No!